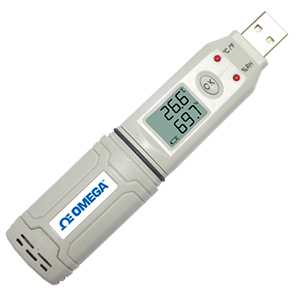 OM-HL-SP temperature and humidity data loggers with USB interface are specifically designed for applications like Data centres, HVAC refrigerators and cold-chain transportation. The pen-sized design is IP67 rated, ensuring a high level of protection from water splashes and dust. Energy-saving design allows up to 12 months use before battery replacement is required. Simply plug-n-play to log, download and graph data using the included software. Logpro software is comprehensive temperature and humidity recorder and data analysis software, designed to log attribute settings, download logger data efficiently, graphically analyze data, and export the data to Excel/PDF/BMP. The software interface is easy to use and efficient for ultimate data logging, monitoring, and analysis. Please see the Software Setup Video for more details.